Just beginning to develop your HR operations or refreshing your existing services? Here...we’ve done the work for you with these free HR policies. Employee absences aren’t just “the cost of doing business” - it impacts your teams and your bottom line. 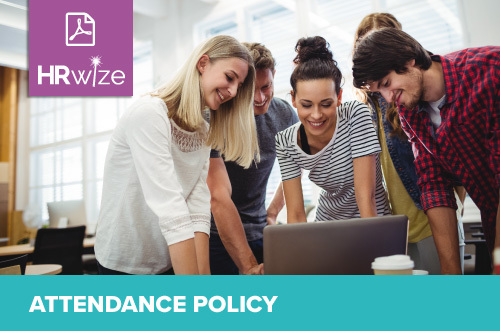 A comprehensive attendance policy can play a strategic role in keeping personnel healthier, productive and it will reduce your overhead, thereby increasing your overall business performance. Use our HR policy template to implement your plan and start benefiting your entire organisation by managing employee attendance. Executing a corporate wellness reimbursement program promotes a healthy work-life balance, helps to reduce stress and mitigates absenteeism as your employees are healthier. All excellent results that will also equate to an improvement in morale and productivity. 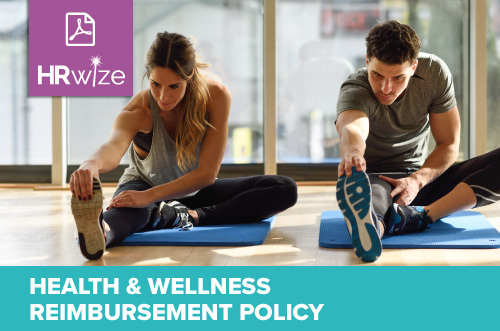 Get your team moving now with our Health & Wellness policy template – it’s the benefit that all parties will benefit from! Having a charity match policy can be the gift that keeps on giving. This is an employee engagement incentive that is both meaningful and attractive to great talent. Your people love a great cause and, just like you, they love being a part of the solution. Make it a part of your mission to stand with your team to make a greater social impact. Corporate citizenship is cool – start your initiative today with this Charity Match Policy template. A paid personal leave day (PPLD) or a personal time off (PTO) day can be an offer in your benefits package that makes your employees feel valued and secure. You are respecting their need for personal time outside of work and they won’t feel guilty or penalised for needing a break. 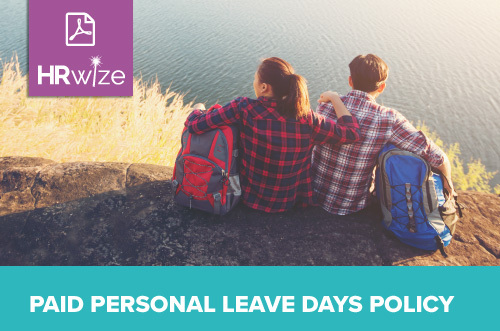 Having PPLDs can help your organisation as scheduled days off allow you to prepare for needed coverage, unlike unscheduled absences (we’ve all felt that pinch). Reward your team’s loyalty by giving them the gift of peace of mind with a new PPLD policy. Our template will get you started. Telecommuting or working remotely doesn’t only benefit your team. Amongst many advantages for your company, it improves employee satisfaction, reduces absences and turnover, increases productivity and you can cast a wider net on the talent pool. Additionally, you can lower your budget in savings on office supplies, real estate and relocations. 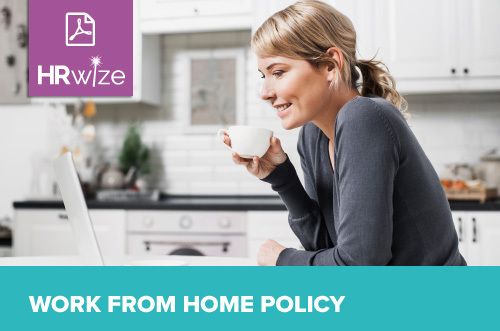 Kick off your work from home programme with this policy template. Your employees are your biggest asset and should be wholeheartedly encouraged and supported to develop their education and continuously improve their knowledge and skills. By culturally and financially supporting your employees’ development, you are demonstrating their value to the company as well as investing in the future of your business and increasing employee engagement and retention rates. In today’s world, taking care of our environment is everyone’s responsibility. As a business, you must lead by example and show that environmental responsibility is a top priority. 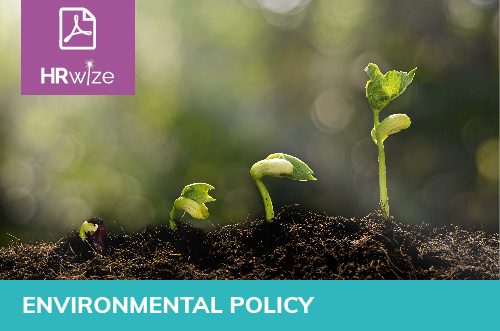 You should show commitment to working with your employees, your clients and your suppliers in an ecologically aware manner by developing your environmental policy and following it closely. A health and safety policy is necessary for every organization to express the company’s commitment to their employees’ health and safety. It should contain any references to specific activities of your organization as well as the general statement of safety for all types of employees. 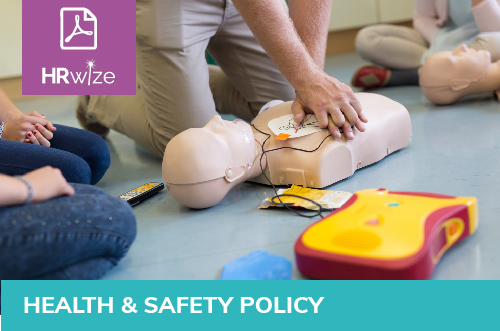 You should establish one or more health and safety representatives within the company to be champions of the policies and ensure everyone is educated and in compliance.